Sony is recalling 350,000 digital cameras due to a fault in the casing which could create a sharp edge on which users could scratch themselves. The recall covers cameras with serial numbers between 3500001 and 3574100 in the Cyber-shot DSC-T5 range. Sony said it will replace the bottom casing on the recalled cameras free of charge. 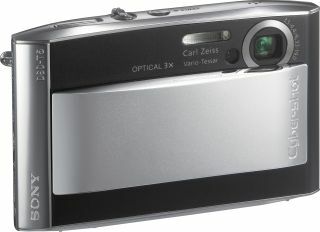 The fault was first noticed in October 2005 just after the Cyber-shot DSC-T5 went on sale, a Sony spokesperson told Vunet. Around 284,000 of the affected DSC-T5 cameras were sold in the United States, Europe and China, and about 66,000 were sold in Japan. Sony lost a third of its profits last year after the recall of 9.6 million batteries used in various laptops including Dell and Apple models.